POSTED April 5, 2017 10:50 a.m. They have names like the Harpers Ferry Fireflies and Ankeny Honeybees. All of them are “ladies of a certain age” who enjoy a “gentle” game of basketball, dressed in an attire not seen since the early days of girls’ basketball – blouses and bloomers. 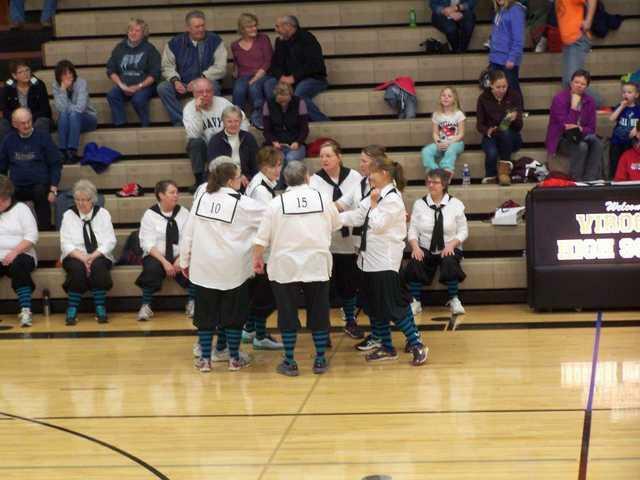 And now, Wisconsin has its own Granny Basketball team – the Viroqua Driftless Dribblers. Among the faces of the line-up is a familiar one – Boscobel High School’s Cindy Anderson, the family and consumer science teacher. Cindy Anderson knew nothing of Granny Basketball before January. Oddly, it was a trip to WalMart that brought it into her life. She ran into a friend, who told her she would be participating. For the complete story, please see the April 6, 2017 issue of the Boscobel Dial.